At the National Retail Federation 2016 show happening in NYC, Microsoft is unveiling new solutions and retail customer implementations. Some of the implementations that Microsoft is highlighting includes a brand engagement tool from L’Oréal, an app that enables a whole new way to shop for groceries and more. These new retail solutions built on Microsoft technologies help retailers in drawing shoppers’ attention, present customized offers in real time, manage inventory and streamline the checkout process. Macy’s is showcasing reimagined productivity of store floor employees using a sleek modern dashboard. Designed and developed by Confiz, this solution utilizes Microsoft Azure and delivers an engaging experience over Surface 3 tablets with Windows 10 to help their management team be more productive wherever they are in the store. L’Oréal Paris is partnering with TokyWoky to build a CRM solution using Microsoft Azure cloud and analytics technologies that leveraged crowd-sourcing to give customers real-life insights from fellow users of L’Oréal beauty products. The next evolution of the tool will use Power BI to generate data reports to learn more about visitor concerns and transformations. 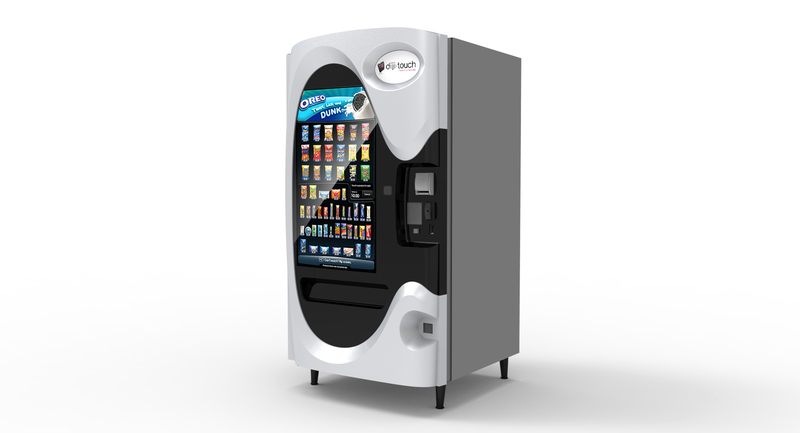 Mondelez International is demonstrating the diji-touch vending machine, whose interactive 3-D digital display lets customers view products and nutrition information, and receive advertising alerts about promotions and games where they have the opportunity to get free samples. The Windows 10 universal app also allows more efficient and proactive maintenance and support for the machines, while the Azure IoT Dashboard tracks inventory levels and displays machine error notifications and the exact locations for tech support in the field. Gerrity’s Supermarkets in Pennsylvania is partnering with SKIP to implement a phone-based app that lets customers scan groceries and bag as they go, then skip the lines and use a dedicated express checkout lane. Shoppers using SKIP check out in a fraction of the time it takes other shoppers to scan and pay. Fnac is using Office 365, Skype for Business and Yammer to streamline collaboration, empower employees and connect its stores and headquarters. The tools help employees of the French electronics and cultural products retailer get product information, share insights and provide exceptional service to shoppers. Microsoft is also demonstrating technologies now in test deployments or on the cusp of becoming more widely available. ByteLight technology, from Acuity Brands Lighting, integrates intelligent LED lighting systems with Bluetooth communication and Microsoft Azure cloud services to provide a location awareness solution that lets retailers deliver apps, services and customized information to shoppers. AVA Retail is demonstrating an in-store shopper data solution that uses Kinect to monitor customer activity on the sales floor and Azure to help associates see where to offer assistance. Digimarc is demonstrating imperceptible bar codes, a special design that can be seen by registers and smartphone scanners, but not the naked eye, which helps cashiers scan items more quickly and speed up the checkout process. FreedomPay is showing its latest commerce platform with Compass Group hosted on Azure. The EMV-ready payment terminals, coupled with PCI-validated point-to-point encryption (P2PE), are the industry’s highest standard for payment data security.